Boy was that exciting to watch. The Yankees were able to salvage the last game of the series, against the Orioles on Sunday. They leave Baltimore with a record of 2-4 with the home opener in the Bronx scheduled for Monday afternoon. They have some momentum behind them as they head North on I-95 but in baseball momentum can change instantly based on the next day’s starter. Below is a game by game recap and takeaways from the series. I will have a full series preview of the series against the Rays at some point Monday morning. Friday- This was by far the worst sporting event I have seen live. I had gotten my hopes up and could see the bullet coming at me from miles away bit could not do anything to stop it. The offense was able to put up a nice output for Severino, who made one bad pitch in the whole game. The bad pitch happened to be against one of the great players and future Yankee, Manny Machado, who put it in the seats. The Bullpen finally cracked and could not protect the lead, leading to my death in front of 25,000 people at the Yard. Saturday- The offense once again got off to a good start and put a nice lead for the Yankee ace Masahiro Tanaka. Tanaka could not make it to the 6th inning and the exhausted bullpen could not protect the lead again. The day got worst when we found out that Gary Sanchez, arguably the most important piece of the Yankees if they want to play in the Postseason, was headed to the Disabled List. Sanchez will probably be out for a couple of weeks as there is no reason to rush him back. Sunday- The game today was a polar opposite from the others. The Orioles jumped out to an early lead and the Yankees were getting no hit. Ronald Torreyes, the Yankees shortstop of the Future and MVP candidate, came in clutch once again. His two-run triple in the 6th inning woke up the Yankee bats. The Yankees scored 4 runs in the 9th inning to avoid the sweep against the Orioles. Takeaways- Headley might not be a MVP candidate after all, he really struggled this series, hopefully he can come back to his MVP form in the Bronx. 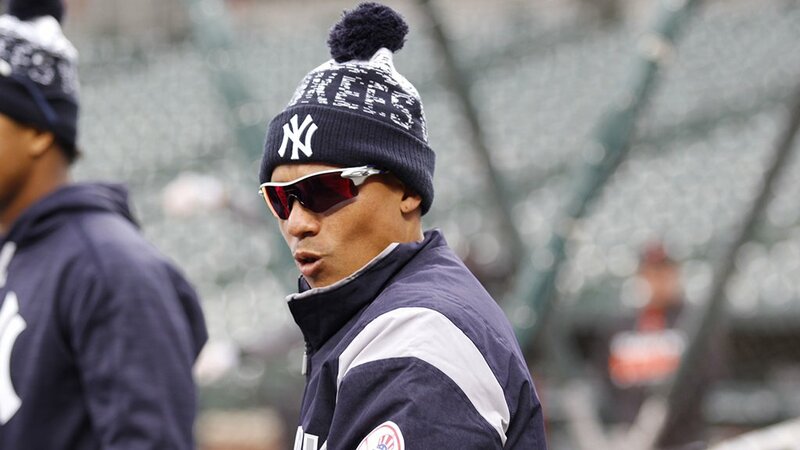 Ronald Torreyes has been a god-send for the Bombers, he has been great in replacement of Didi and leads the team in RBIs. CC Sabathia has looked really good thus far, he had an acceptable outing today, keeping the Orioles offense in check. Look ahead- Yankees begin their home part of the schedule tomorrow afternoon against the Rays. Pineda will be pitching for the Yankees, which can go either way. The Yankees need to build on the momentum.